H12 is the same as 9055. Default wattage in halogen form is 55W with base of Axial Prefocus, Shielded. Typically used as fog lights on vehicles. One of the brightest bulbs available in the market today are the H12 bulbs. These are usually available in expensive HID. 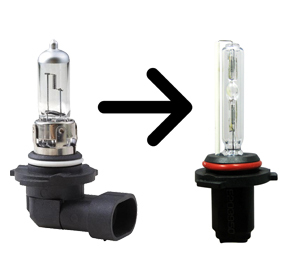 Through HB, the same look and feel of the bulb can be got at a very low cost. This provides a lot of options to the car owners since they can get an upgraded look for their vehicle at a cheaper cost. You can get recognized on and off the road with the slight modification that you apply to your vehicle’s fog lights. To understand whether this is suitable for your make of the car or truck, it is mandatory to go through the model guide available for the bulbs. Variety of colors like the titanium white, pure blue or ultra violet makes the car to achieve a new exotic feel. This also increases the visibility of the roads well ahead so that the journey is safe and comfortable.